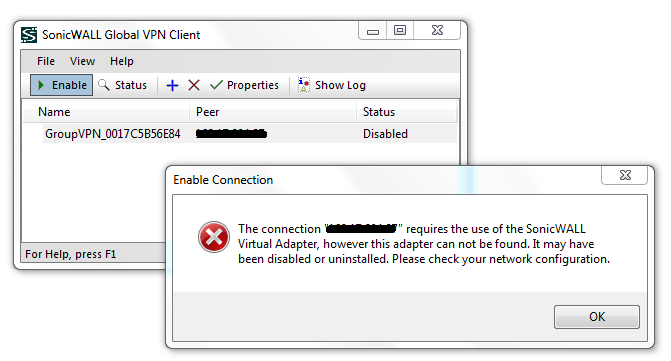 This entry was posted in Troubleshooting and tagged SonicWALL Global VPN Client. Bookmark the permalink. it on your site. I saved your blog in my rss feed and shared it on my Facebook. Anyone else actually missing the virtual VPN adapter? ?